Product prices and availability are accurate as of 2019-01-13 02:11:48 EST and are subject to change. Any price and availability information displayed on http://www.amazon.com/ at the time of purchase will apply to the purchase of this product. Buy with confidence! Our Reconditioned items include all necessary parts and are guaranteed to function like new, backed by our 120 Day money back guarantee. Please note however that reconditioned units received from the manufacturer may or may not include accessories shown with this listing. 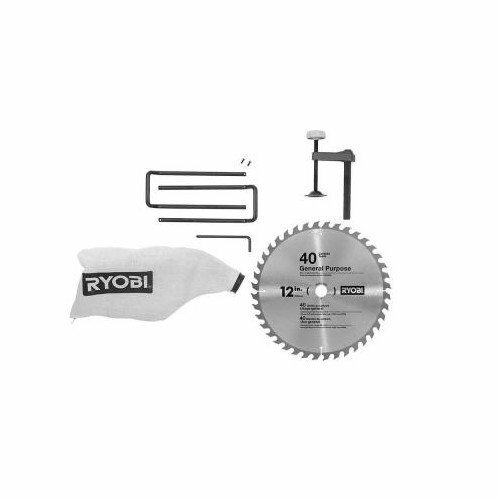 The Ryobi 15 Amp 12 in. 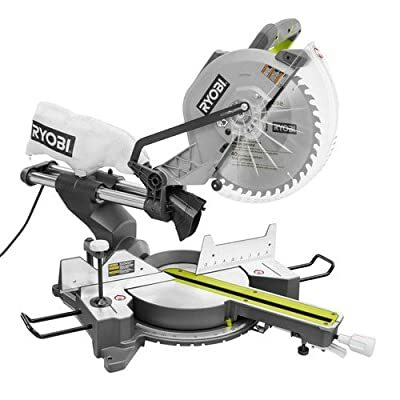 Sliding Compound Miter Saw with Laser features the best value for cut capacity on the market with up to a 13-1/2 in. cross cut capacity. 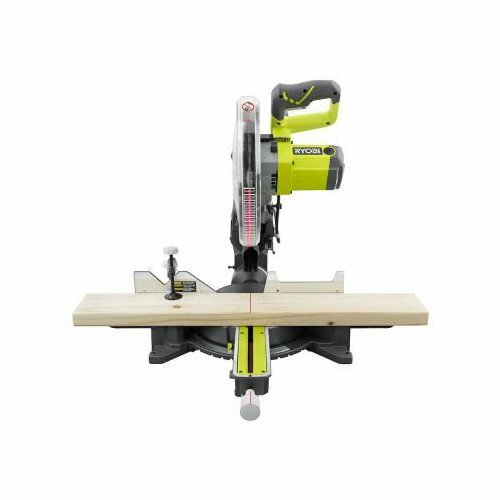 It features 9 positive miter stops with ball and detent action for precision cuts. It has a 12 in. carbide-tipped blade for a smooth cut and an electric brake that stops the blade fast for added safety. The saw comes with an adjustable EXACTLINE laser that provides an accurate guide line for cutting. Miter stops located at the most common crown molding angles 0, 15, 22.5, 31.6 and 45 degrees left and right for quick cut settings Includes: 15 Amp 12 in. 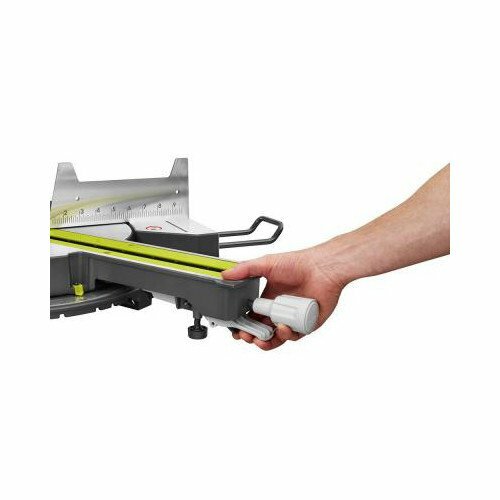 Sliding Compound Miter Saw with Laser - ZRTSS120L.